Over the weekend we got around 6-7 inches of snow. And while the snow covered trees are pretty to look at, I'm ready for Spring. I have been thinking of warm sunny weather and counting down the days until our spring getaway to Florida. 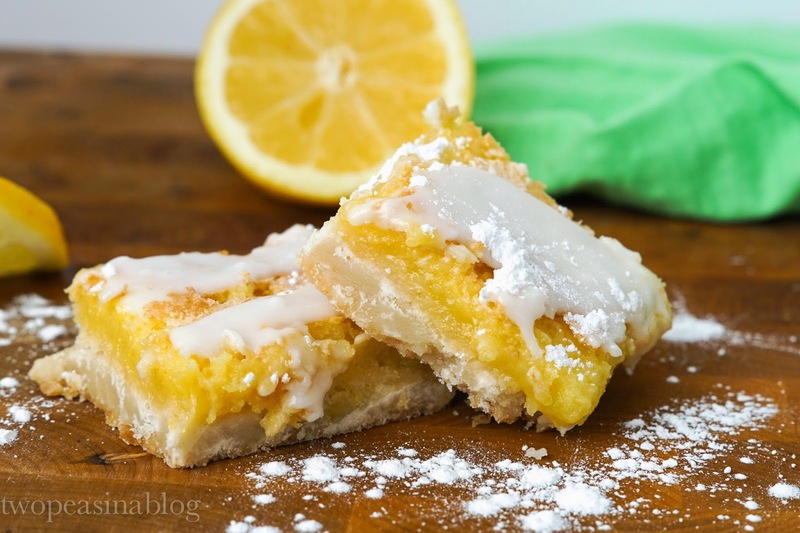 These lemon bars are just the dessert I needed! They have a wonderful citrus flavor but it's not overwhelming. I came across the recipe for these a couple years ago, and they have been a hit ever since. Start with flour and sugar. Whisk together and then cut in cold butter with either a pastry blender or 2 knives. It should have crumbly texture like below. Press the crumb mixture into a greased 13x9 inch pan. Bake at 350* for 15-20 minutes or until golden brown. 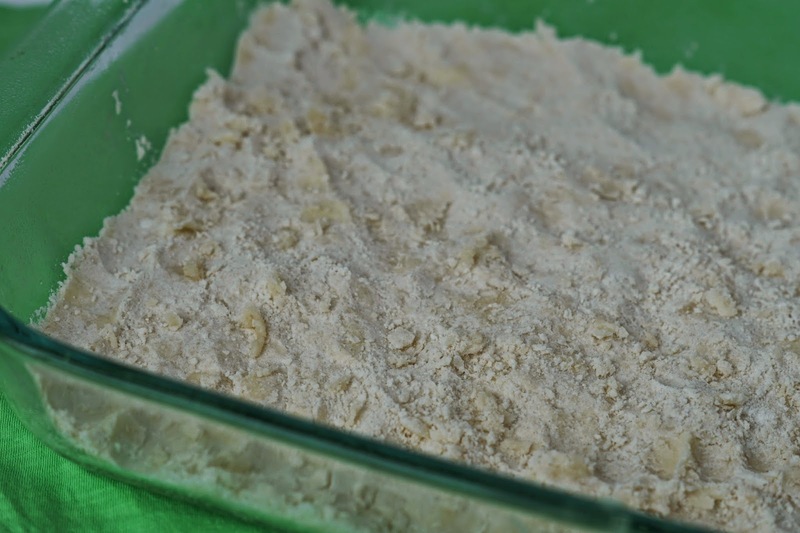 While the crust bakes, mix eggs, lemon juice, flour, sugar, and baking powder with an electric mixer for about 3 minutes or until frothy and a light yellow color. When the crust is slightly brown, remove from oven and pour the lemon filling mixture on the warm crust. Bake 20-25 minutes more or until browned and set. 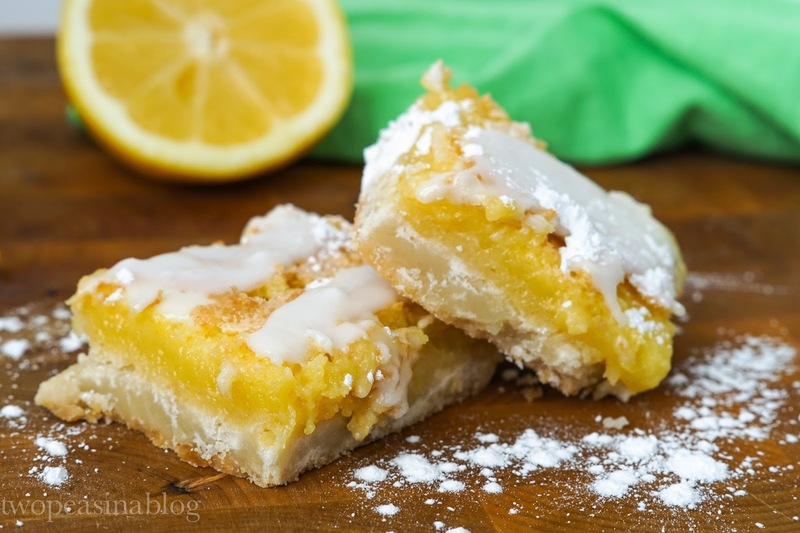 Allow the lemon bars to cool completely before adding the glaze on top. Cover and refrigerate for 2 hours before serving. Lightly grease an 9x13 pan with cooking spray and set aside. 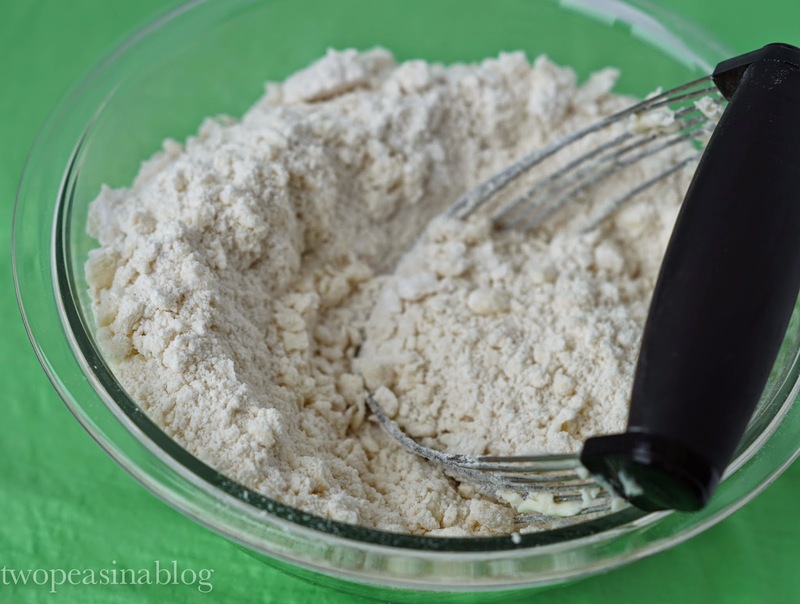 Whisk the flour and powdered sugar. 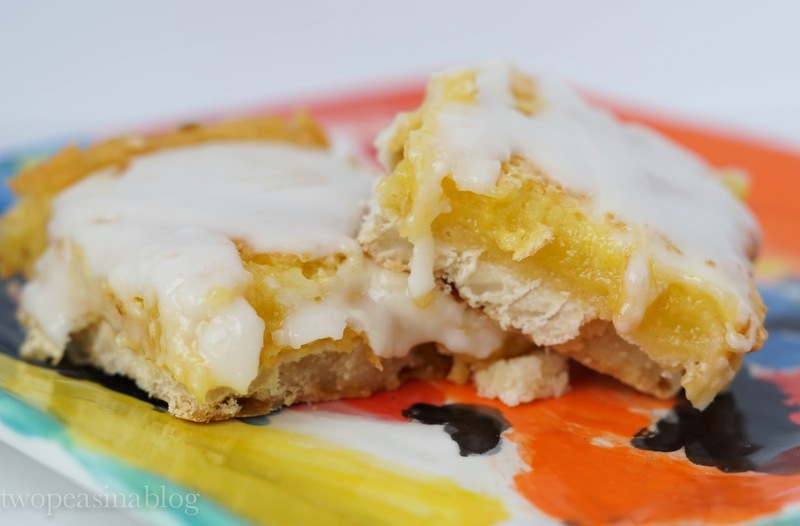 Cut in the butter with a pastry blender until mixture is crumbly. Bake 15-20 min. or until light golden brown around the edges. During the last few minutes of the baking time of the crust start the filling. 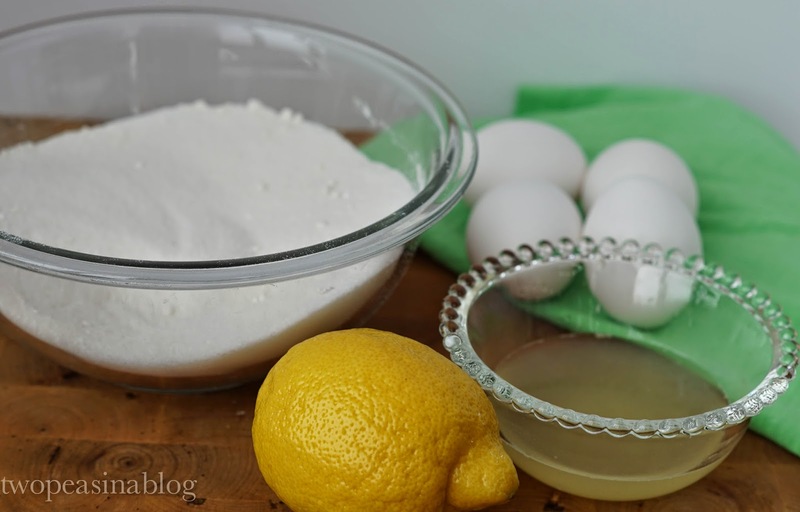 Mix eggs, lemon juice, flour, sugar and baking powder with an electric mixer. The mixture should be frothy and light yellow in color. Pour the mixture over the warm crust and bake 20-25 minutes. When cool make the glaze. Whisk the powdered sugar and lemon juice until smooth. Refrigerate at least 2 hrs. before slicing.